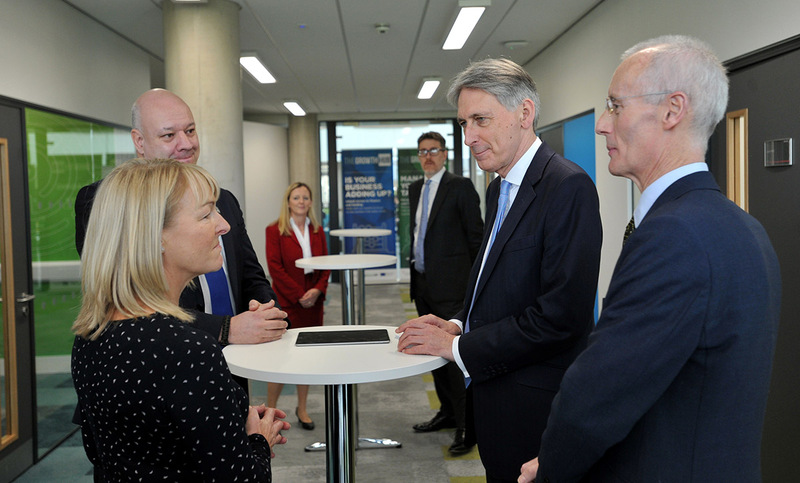 The Chancellor of the Exchequer, the Rt Hon Philip Hammond MP, visited the University of Gloucestershire last week to officially open the new Business School and Growth Hub building at the Oxstalls campus in Gloucester. Investing in skills is the key to boosting our productivity and helping the economy grow and thrive. That’s why we’ve invested £5m into this new School of Business and Technology – to bring together academic and business expertise and ensure the students here today develop the skills they need to become the business leaders of the future. Today’s formal opening by the Chancellor of the Exchequer of our wonderful new Business School and Growth Hub marks a major milestone for the University. We want our Business School to be distinctive for the real-life, hands-on experience of business that we offer to our students, so that we give them the best possible preparation for successful business careers. By collocating our business students, business staff and all of our business services, we are creating an exceptional environment in which students, staff, business clients and business partners can all work together for mutual benefit. 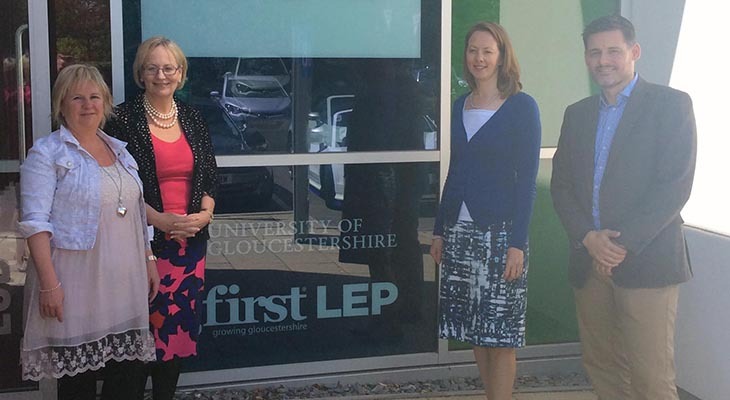 “The University of Gloucestershire is committed to playing our part in promoting the economic success of the UK, by developing skilled business leaders and managers, and supporting businesses to innovate and grow. This new building is where it will happen. This is an important project for the future of the county. It expands our successful Growth Hub model that is driving business growth in Gloucestershire and gives Business School students the opportunity to see first-hand how businesses are run, managed and supported in the county. 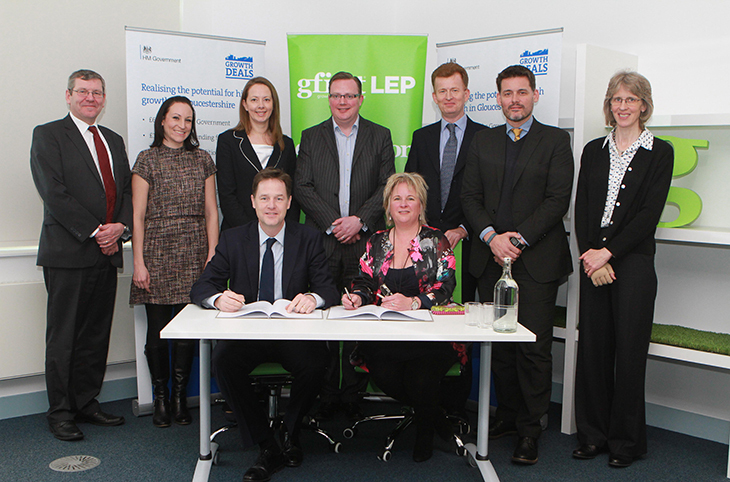 This is a first in the country – a University Business School, a Growth Hub and a Local Enterprise Partnership all under one roof.